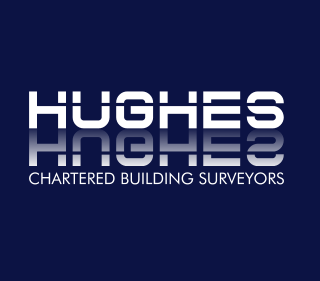 Hughes Surveyors was established in 2000 by Chartered Building Surveyor, John Hughes. John Hughes has over 22 years of experience surveying a wide range of different building types and brings his comprehensive technical understanding of building methodology to his surveying work. We are an independent company based in Ringwood and cover Hampshire, Dorset and Devon, including the postcode areas of Southampton, Dorchester, Salisbury and Exeter. All surveys are carried out by property expert, John Hughes. We have an excellent working knowledge of this local area and the properties in the location, so you can be confident that extensive knowledge and skill will be brought to your house survey. As buying a house can be one of the biggest purchases in a life time, it is vital to know as much as possible about the structure and condition of the property you want to buy. At Hughes Surveyors we offer the full range of house surveys, including RICS Homebuyer Reports and Building Surveys that can be personalised to your exact requirements. If you have any specific concerns about the property you are intending to purchase, the survey can be tailored to suit you and your property requirements. We do all we can to provide a service that is of the highest quality. As Hughes Surveyors is an independent company, we act solely on the behalf of our clients, providing advice and assistance in a clear and impartial manner. We are a friendly and personable company, ensuring that we are available to clients should they wish to contact us for further information about the survey and report. We aim to have reports sent out within 3 days of the survey date and we are happy to discuss the report once you have read it. Contact us today to discuss the requirements for your survey – we could save you thousands of pounds on potential future repair costs. Very good service at a really good price. John was really helpful, friendly and quick to respond to my queries. He carried out the survey within a week of me making the booking and sent me a really detailed assessment, including photos, within a few days. Thoroughly recommend, especially if, like me, you don't know where to begin when it comes to finding a surveyor. Job done just fine; hope we don't have to use them again because we've made an offer on the house, but we would if needs be! What an excellent service! All communication was very quick, the survey was very thorough with lots of photos and included our extra requests at no extra cost. We had the survey results the day after the survey. 1st class service that I wouldn't hesitate to use again and I've already recommended to 2 friends. Doesn't offer a homebuyers survey - have to have a full builders report. Quick response to request and was able to do the survey within a few days and full report given within 24 hours which was impressive. However when I emailed back with a couple of questions I got no reply. Not able to take card payments. Very friendly and efficient service from Hughes Surveyors. Kept us informed throughout. Incredibly quick and professional service with a full report. Very happy to answer questions and hold my hand through the whole experience as I am first time buyer. Really good survey. Quick, efficient and reasonably priced.